Thionia simplex (?) - imm. Thionia simplex can be found in the Eastern half of the US. 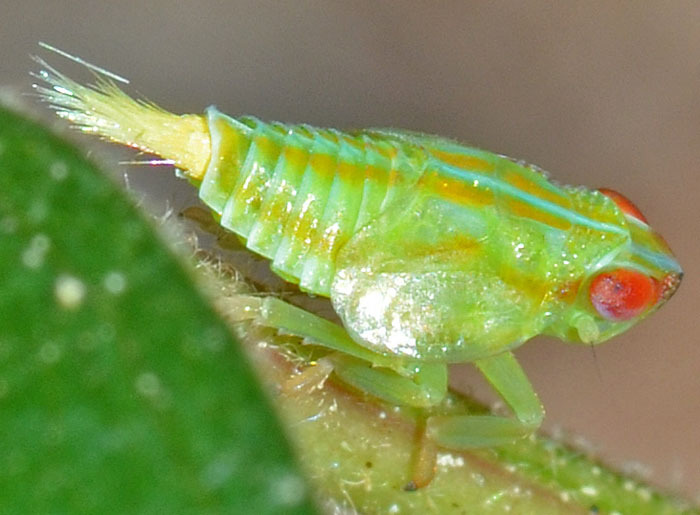 The photos show its amazing nymph that is not only colorful but also the proud owner of an impressive paintbrush-like "tail". 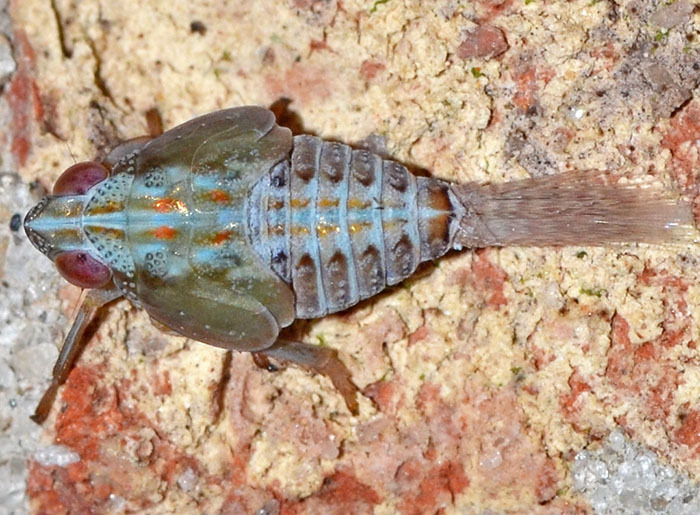 This type of tail is characteristic for nymphs in the Issidae family as long as the filaments are straight and bundled, not bushy. Size: approx. 6 mm. Photo: 08/25/18, 11 pm. 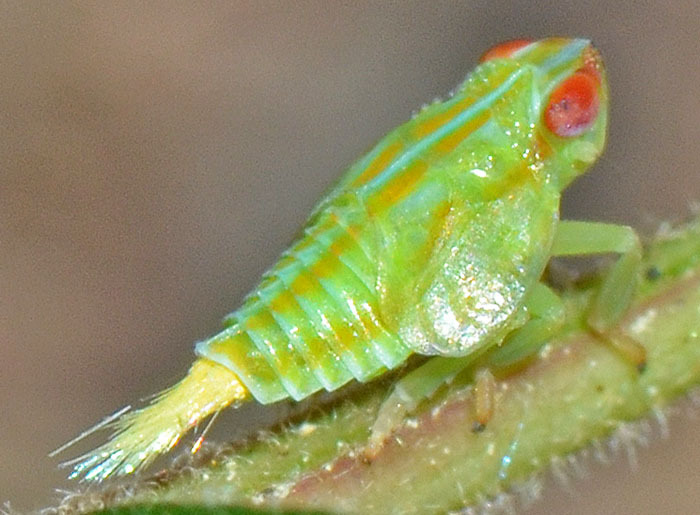 A fairly large (6 mm) nymph of an Issid Planthopper. 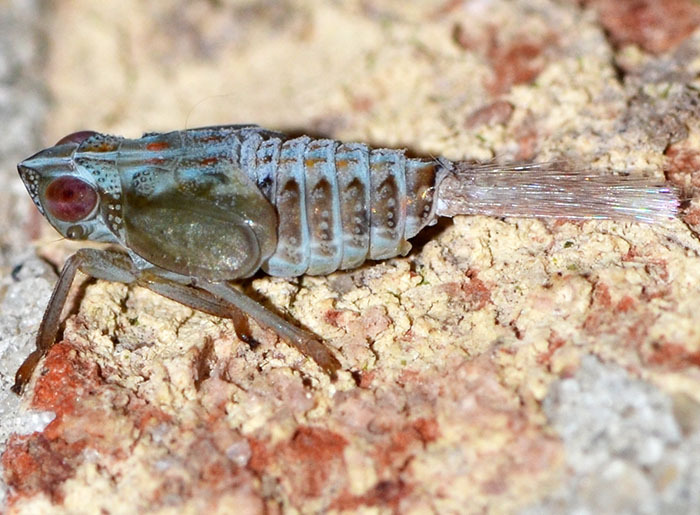 I am fairly confident that this sharp looking guy belongs to the species Thionia bullata. Its preferred host are pine trees. In the US, Thiona is represented with eight species; worldwide it has about 80. Please click on the photo and enjoy its intricate pattern and perplexing brush.